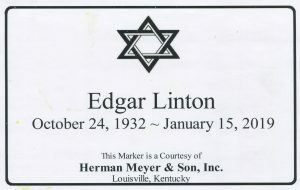 Edgar “Ed” R. Linton, 86 – Herman Meyer and Son, Inc.
Edgar “Ed” R. Linton, at the age of 86, died suddenly on January 15, 2019. He was preceded in death by his parents William R. and Gladys G. Linton, and his sister, Betty Lou Forbes. He was born in English, IN, served on the U.S.S. Sicily while enlisted in the U.S. Navy during the Korean War and was a General Manager at a Meat Packing Plant. Ed is survived by his wife, Georgia; his daughters: Michelle (Jay) Hyatt, D.G. (Lawrence) Gridley; his sons: E. Rod (Karen), Stephen (Betty Hulvey); his sisters: Blanche Hall, Lilly (Ralph) Hammond, Marlene Cook; his brother Theodore Linton; nine grandchildren and 8 great-grandchildren. 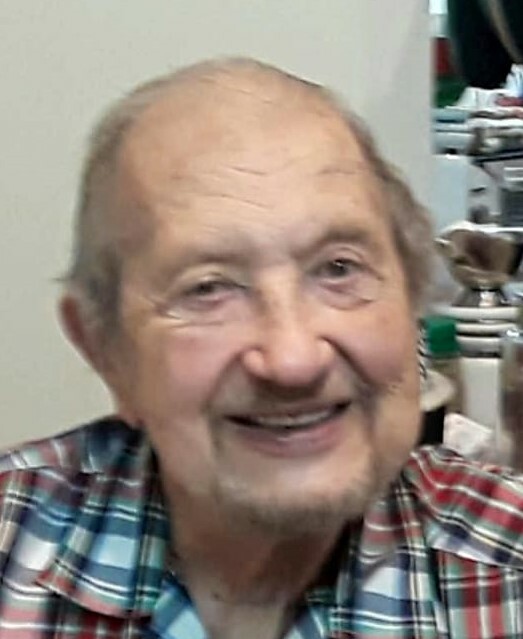 Funeral services are at 3 p.m. on Sunday, January 20, 2019 at The Temple, 5101 US HWY 42, Louisville, KY 40241. Visitors are welcome after 2 p.m. Interment in The Temple Cemetery. Expressions of sympathy may be made to The Temple, 5101 US Hwy 42, Louisville, KY 40241.